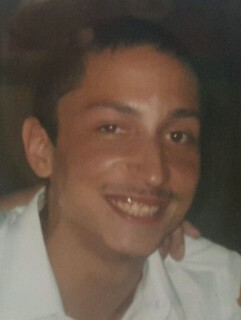 Our Heavenly Father gifted us Dominic Shane Maldonado into this world July 11, 1988. He was welcomed into the gates of heaven with Jesus the Father Almighty in 2018. Dominic was born in Cleveland, Ohio. Raised in the big blue and white house with the Dalmatian (Thunder), and greatest pool on Archwood Ave. He is the son of Christopher and Nadine Maldonado and Sarah Maldonado (Stepmom). The father of Cheyenne Maldonado (Synyka); brother of Christopher, Rebecca, Amanda, Gavin, Isaac and Mya. Uncle of Giselle, Gianna, Armando, Julicia, Cecilia, Gina-Lee, Gitana, Christopher, Jacob, and Brandy. Dominic was the biggest blessing to us all. He has a heart of gold. He is pure and sweet, and loved by everyone. His demeanor was so kind, the purest heart with the freest spirit. He is our sun that lightened up any room he walked into with his beautiful smile, beautiful face kindest and sweetest voice. No matter how much our Dom joked around always smiling and laughing making days wonderful, he was never to be underestimated. Dominic was able to fix any problem. He was a true trick of all trades. He could figure out anything that landed his way. Dominics mind was too large for his own self. For all that love Dominic and want to pay their respects a Memorial will be held Thursday, March 15, 2018 at 1pm, at St. Colman Church 2027 West 65th Street, Cleveland, Ohio 44102. May he rest in peace .he was a good hearted boy. A young boy. He’s home in heaven may God she’d light around him always. Amen. I will always remember how he was in my house and on the phones with him. He loved his daughter so much .he was all about his daughter. God bless her. He will forever be missed. My cousin. Dom. Rest in peace to my cousin/brother Dominic. Im still in shock ! :[ Im thankful we got to share as many memories as we did before you had to go. Gone but never forgotten I Love You cuz! !